The phrase ‘the greatest manager England never had’ is one most commonly associated with the great Brian Clough, but a man equally deserving of the title, if not more so, is one George Raynor. In a journey that took him from Aldershot Reserve’s to a World Cup final in little over a decade, Raynor is one of the most successful international football managers of all-time. Like so many great managers, he had a playing career which did little to point towards greatness. 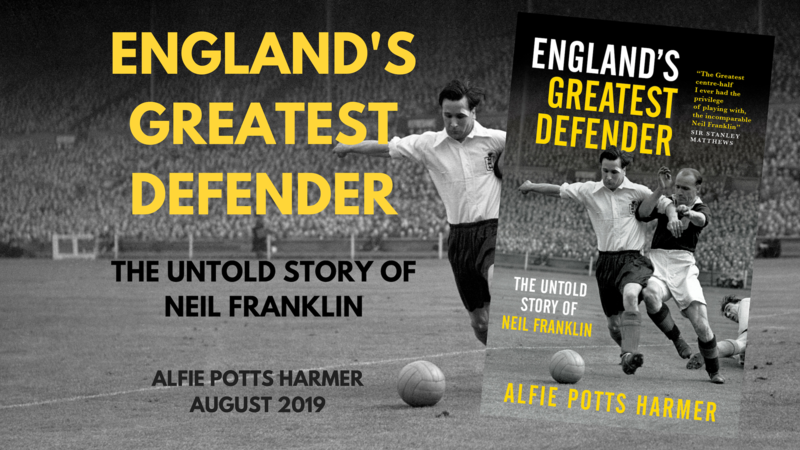 Playing non-league football until the age of 23, he got his break at Sheffield United in 1930 but failed to break through, going on to play for a string of lower league sides before having his career cut short by the war. Three years after the war was over, Raynor had managed Sweden to Olympic Gold, and 10 years after that, he was taking charge of a team in a World Cup final. Born in Hoyland Common, Yorkshire, 7 miles from Barnsley on the 13th of January 1907, Raynor was a miner’s son. His first venture into the game came whilst he was still a teenager, when he began playing for Elsecar Bible Class. A short and pacy player, Raynor had been a sprinter in his school years, and although he had desires to play as a centre-forward, he spent his entire career on the right wing due to his lack of height, standing at just 5 feet and 7 inches. He continued to shuffle around the non-league’s until the age of 23, when he was picked up by Sheffield United whilst playing for Wombwell FC in 1930. In almost two years at Bramall Lane, Raynor made only one senior first team appearance. He had failed to break through and never got a chance in the top division again. His career lasted another 7 years, taking him to Mansfield, Rotherham, Bury and Aldershot. Raynor’s unspectacular career came to an early end with the outbreak of the Second World War. Having joined Aldershot in 1938, he played only in the truncated 1938/39 season, which saw Aldershot finish 10th in the Third Division South, marking the end of Raynor’s 9 year career in the professional game at the age of 32. 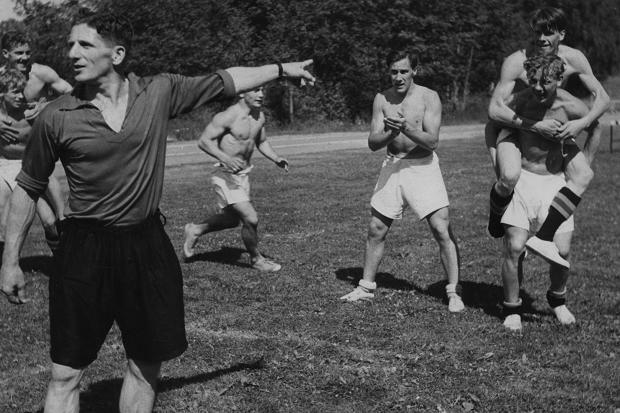 The FA requested that all footballers who did not seek active service sign up to become physical training instructors, better known as PTI’s, so this is what Raynor did. He was posted to Iraq, where he worked as a fitness instructor in Baghdad. It was in Iraq that Raynor got his first taste of management. Along with a fellow teacher, he got together a group of students to create a team and tour neighbouring states. The team, which became something of an ‘Iraq XI’, played fixtures between 1943 and 1945, over a decade before Iraq would eventually become affiliated with the FA and play their first official fixture in 1957. Raynor’s work in Iraq did not go unnoticed. FA Secretary Stanley Rous took great interest in the Yorkshireman’s work in Western Asia, a contact that would be crucial to his future success. Upon his return to Britain, Raynor had his eyes set upon coaching and management. Aged 38, he rejoined the setup at Aldershot, taking the role as manager of the club’s reserve team. He spent a year in the job, but all the while pestered Stanley Rous to give him a reference. When the future FIFA President finally did so, he was recommended to the Swedish FA, who took him on a six-month trial. An intensely determined character, Raynor was somewhat volatile at times and a maverick in coaching terms. His trial period was a success, and – sufficiently impressed – Sweden offered him the job full-time. Whilst one should not and ought not to detract from the remarkable achievements of Raynor, it is fair to say he could not have wished to take over the Swedish national team at a better time. He inherited a young, hungry, and most importantly, very talented crop of Swedish footballers. Gunnar Gren, Gunnar Nordahl and Nils Liedholm, better known as Gre-No-Li, the three stars of the Swedish team, were all in their mid-20’s when Raynor took the job, and just approaching their prime years. All three went on to have enormous success in Italy with AC Milan, Nordahl in particular remains the league’s third highest goal scorer of all-time with by far the best goals/game ratio of any player with more than 150 goals in the league; whilst highly talented youngsters such as Lennart Skogland would soon emerge on the scene. Just a year into the job came the first big test of Raynor’s reign, a friendly against England at Highbury. Sweden gave England a real scare on home soil, with Gren and Nordahl both getting on the scoresheet in an eventual 4-2 defeat to the hosts, as Stan Mortensen bagged a hat-trick. A year later and a sterner test still, in the form of Raynor’s first competition as Sweden coach, the 1948 Olympic Games in London. His assistant manager, Putte Kock, had tasted success in the Olympics as a player, a bronze medalist in 1924 and named in the Team of the Tournament. Between them, Raynor and Kock made the decision to have a big tactical switch prior to the tournament. Moving key man Nils Liedholm, one of the teams renowned attacking threats as part of the Gre-No-Li trio into defensive midfield alongside Kjell Rosen, where it was hoped he would both sure-up the side defensively and still act as an attacking threat as a deep-lying playmaker. It worked; on their way to winning gold, Sweden scored 22 goals and conceded only 3 in 4 games, against Austria, South Korea, Denmark and Yugoslavia. It was considered a magnificent achievement, Raynor had won Sweden their first Olympic Gold in football, and as of today their last, he also remains the last Englishman to manage a team to Olympic footballing glory. Heading into the 1950 World Cup, Sweden had some of the most gifted players on the planet. At 29, 28 and 27 respectively, Gre-No-Li were all in their prime, and would have caused nightmares for any defence in the world. Sadly, with all three now at AC Milan, Sweden’s strict amateur-only policy meant the trio were not allowed to be part of Raynor’s squad for the tournament in Brazil. Despite being without his three best players, Raynor still managed to secure Sweden a place at the tournament, where they topped their group, ahead of Italy and Paraguay. The tournament, which was the last World Cup to take a group/round-robin format right until the last, saw Sweden lose to Uruguay and Brazil without their key men, but they did beat Spain to finish third, an impressive achievement for such a depleted squad. Sweden were again without their key players due to the strict restrictions by the time the 1952 Olympics came around. Sweden beat Norway, Austria and Germany to claim bronze, Raynor’s second Olympic medal, but were powerless to stop the Magical Magyars at the height of their power. Hungary were simply irresistible. They cruised past every side who stood in their way on-route to winning gold, and Sweden were no exception, a 6-0 humiliation the final score, although Sweden still went on to beat Germany 2-0 only 4 days later. Typically pragmatic and tactically astute, Raynor could see what went wrong in that game for Sweden. Whilst Hungary did have the best team in the world at that time, it was also their fluid style of play, creative outlets and early leaning’s towards total football which made them the force they were. When he faced the Hungarians again a year later, this time in Budapest, Raynor joked that he would paint the Stalin statue moustaches red should Sweden win the game. The Swedes earned themselves a hugely creditable 2-2 draw, against a Hungary side who were now unbeaten in 4 years, and Raynor’s side even hit the post in the final minute of the game. Still with his heart set on domestic success and a future with the England team, Raynor took the opportunity to call the England manager Walter Winterbottom, and inform him of his method of success and what he had learned from playing the Hungarians, as England prepared to host Hungary in November. Raynor told Winterbottom that Nandor Hidegkuti was the linchpin to Hungary’s attack. Playing in a withdrawn role, he was the creative force of the team, and the only way to stop him without your defenders being drawn out of position was through man-marking him. His suggestions were ignored, and borderline mocked. One FA member reportedly asked Raynor, “Can you really expect us to ask Stanley Matthews to track back?”. England lost the game 6-3, in what became known as ‘The Game of the Century’; Hidegkuti scored a hat-trick and baffled the England defence in the process. The return fixture was lost 7-1, Hidegkuti once more controlling the affair. Raynor would have to become used to being overlooked and ignored by England as his career progressed, regardless of the enormity of his success. The 1958 World Cup will always go down as Raynor’s greatest success. He actually left Sweden in 1954, managing Lazio, Juventus and Coventry, before returning to the national team in 1956, in preparation for the country hosting the tournament two years later. A 36-year-old Gunnar Nordahl had retired, but the 35 and 37-year-old Gunnar Gren and Niels Liedholm returned, it what had now become only Gre-Li. 5 of Sweden’s squad plied their trade in Serie A, whilst the rest played in the domestic league. Although Nordahl would be missed, a 23-year-old Kurt Hamrin had arrived, with 20 caps to his name already, he was an established star. Sweden were far from fancied for the tournament, even with home advantage. Once more though, they defied the odds, and once more, they topped their group, before a 2-0 victory over the Soviet Union put them in the last 4. They came from one behind to see off West Germany 3-1 in the semi-final and book a place in the final against Brazil. A crowd just shy of 50,000 saw their national heroes take on the mighty Brazil in Solna, where they briefly led. A goal inside 5 minutes gave Sweden an early lead, before Vava levelled the scoring inside 10. The game would later be remembered for a Pele brace, the 17-year-old who had begun the tournament as an unknown left it as a superstar, and Brazil won the final 5-2. Raynor left Sweden having taken charge of the country in four major tournaments, the 1948 Olympics, the 1950 World Cup, the 1952 Olympics and the 1958 World Cup. The worst Sweden ever did under Raynor’s stewardship was finish third. He is ranked by the Guinness Book of World Records as the most successful international football manager of all-time. There could be no finer indication of the difference between Raynor’s global reputation and his domestic reputation than what happened upon his return. Having taken an unfancied Sweden to a World Cup final, months later he took charge of non-league Skegness Town. He had been convinced his World Cup success would earn him the recognition of those in the game in England, and most importantly the FA, but it did not. He became increasingly bitter, and with good reason too. In 1959, he took charge of Sweden for a one-off game against England at Wembley. He won the game 3-2. The comedy of Raynor having had to take a sabbatical from Skegness Town to oversee only England’s third ever defeat at Wembley was lost on most. Raynor’s bitterness grew with age, he took a swipe at the FA in his autobiography and later suggested the nine-man England committee should “sack themselves”. Perhaps, like Clough, Raynor was too big a character for the England job. He was notoriously irascible, but he was also a forward-thinker, who spread his knowledge on the continent whilst England stood still. His managerial career effectively ended in 1961, aged 54, after a brief stint back in Sweden, although he did come out of retirement to take charge of Doncaster Rovers for 7 months in 1967. His autobiography, originally intended as a last-gasp attempt to prove his credentials to manage the England team backfired horribly. Although he wrote passionately on how he had masterminded Sweden’s success and where England had been falling down, as well as stating revolutionary ideas on introducing three points for a win, creating a smaller first division and putting more focus and different strategies into youth development, he also pulled no punches when talking about the notoriously precious FA. The result was his book being all but pulled from publishing, rather than landing Raynor a top job. Raynor died in Buxton, Derbyshire, on November 24th 1985, aged 78. His death went unrecorded in English newspapers. Remarkable for one of the countries most successful managers and a titan of the international game. It should come as no surprise that the FA were too scared to give such a forward thinking and outspoken character the England job, but just how Raynor went from managing an underdog to Olympic glory and a World Cup final, as well as managing Juventus and Lazio, only to end up at Skegness Town, is quite extraordinary. Had Raynor had Gre-No-Li at his disposal for the 1950 World Cup and 1952 Olympics, his list of achievements could be even more impressive. Still celebrated and adored in Sweden, it is about time Raynor received some recognition in the country of his birth. Hi, I am actually George’s great granddaughter. I would appreciate if you could give me an email to discuss some information and my great-grandfather. This article has touched me and I am planning to create something to preserve and remember his legacy, so your help would be greatly appreciated, no matter how little you have to offer. Thanks in advance, Kelsey.